With true international recognition, Lani Misalucha will grace Waikiki with her outstanding vocal talents as well as her incredible presence. Starting December 20, 2011, Lani Misalucha Show will be held in the Magic of Polynesia Showroom at the Holiday Inn Waikiki Beachcomber Resort, 2300 Kalakaua Avenue, Honolulu, Oahu, HI 96815 ( Map) starting at 8:30 pm for this special engagement. This will be an opportunity for Lani Misalucha fans to be up close and personal with the performer as this show will be more intimate than any of her other shows. Lani Misalucha has a truly warm persona that will engulf her audience and captivate them throughout the entire show. This special engagement show is definitely a must-see this holiday season and through the New Year as Lani Misalucha captures her audiences with her strong, pitch perfect voice as well as by her presence on stage that can mesmerize everyone in even the largest of crowds. Lani Misalucha Show will be fast paced and have an inviting selection of her signature songs mixing both glitz and glamour in a unique and colorful one-woman show. It must be remembered that Misalucha’s vocals are nothing shy of those of Celine Dion, and like Dion, Misalucha will deliver everything that the show promises. Lani Misalucha Show will cover a vast assortment of musical styles, from R&B to opera to classic rock, and demonstrates Misalucha’s true abilities as a singer and performer. Audiences will enjoy her comedic flair and amazing vocal range shine as she performs her impersonations of Britney Spears, Tina Turner, Diana Ross, Celine Dion and Beyonce. The showroom will be filled with energy, enthusiasm and power throughout the entire show. A show like the Lani Misalucha Show is not about the stagecraft but rather the personality and talent of Misalucha that regularly brings audiences to their feet. Honolulu’s best musicians and singers will back up her award-winning solo act. Audiences will have the opportunity to experience this international star up close and personal in the intimate setting of the Magic of Polynesia Showroom. Misalucha’s career began at the age of 17. In 2004, Lani became the first Asian female performer to headline Las Vegas. She has been called “Siren of the Strip” by Show Biz Magazine on their cover and “The New Diva of Las Vegas” by What’s On Magazine. Her ability to sing/perform in all of these different styles has made her one of the most popular vocalists in Asia (dubbed as Asia’s Nightingale by MTV Asia). In March 2008, Misalucha was voted “Best Singer” in the “27th Annual Best of Las Vegas” by the Las Vegas Review Journal. This puts her in the same sentence as super-diva Celine Dion, the readers pick for “Best Singer.” As in San Francisco on August 17th, Las Vegas Mayor has declared December 4th “Lani Misalucha Day” to celebrate her talent. The list of her accomplishments and accolades is far too extensive to be shared in its entirety. From the Philippines to Canada to all over the United States, Misalucha has developed a following that has responded to her warm and delightful personality as well as to her incredible talent that she continues to develop with every endeavor that she engages in. Lani Misalucha Show only tickets are available at $55 for general seating and $65 for a limited number of preferred seats. A kama’aina discount of 20% is also available. For more information about pricing, packages and to purchase tickets for Lani Misalucha Show, please visit http://www.LaniInWaikiki.com. This is a show not to be missed. Lani Misalucha is a talent not to be missed. This special engagement will run from December 20th through March. The show provides audiences a Vegas style night out in Waikiki filled with world-class entertainment and, best of all, an International Star. Is it your New Year’s resolution to get HEALTHY and FIT in 2012? MTA is here to help the entire family achieve their goals. We bring you the first ever “Get Fit Fair” on January 28th, 2012 from 2pm-7pm at Recreation Center 7 [Address: 95-1333 Lehiwa Drive, Mililani Mauka]. The fair will offer a variety of exhibitors with products and information, demonstrations by fitness groups and tasty food vendors. The MayJah Halloween RayJah on October 29, 2011 at The Waterfront in Aloha Tower Market Place. 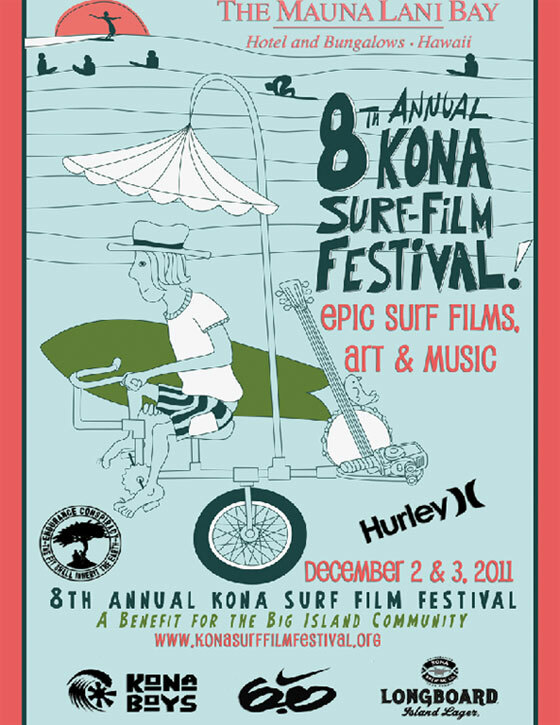 This is Hawaii’s Largest Halloween Concert of 2011. 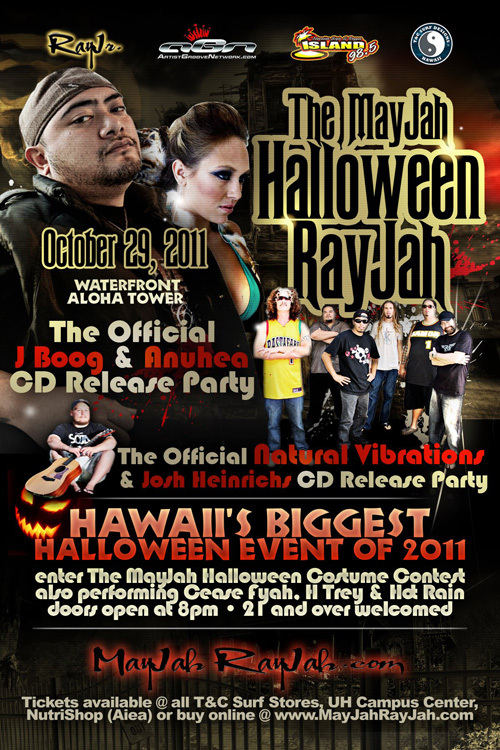 Celebrating 4 MayJah Official CD Release Parties: J Boogs Official CD Release Party, Anuhea Official CD Release Party, Natural Vibrations Official CD Release Party, and Josh Heinrichs Official CD Release Party! Also performing will be Cease Fyah, Hot Rain and H Trey. Enter Hawaii’s Biggest Halloween Costume Contest to win cash and prizes. Halloween Costume is Highly Recommended.